Education is the key to success. It s an important factor for the growth of Bulgaria’s economy and source for providing skilled, qualified, educated people. We can help to improve the quality of education, by creating tailor-made courses and curriculums, with the support of leading experts and academics from the US. To provide a new, practice-oriented education model, especially in the sector of entrepreneurship and innovations. To introduce and implement already established and successful models from Stanford University, Santa Clara University and other institutes. Doctor Drew Starbird, director of My Own Business Institute (MOBI) program, will be visiting Bulgaria between October 15 and 19 to promote online entrepreneurship courses that Bulgarian students and future entrepreneurs can benefit from. MOBI is a free online course for anyone who has an entrepreneurial spirit and wishes to start his/her own business. The program will also benefit those who want to expand their companies and acquire new knowledge. MOBI includes video and audio lessons, tests and homework assignments. Two courses have been designed – MOBI 1 (for starting a business) and MOBI 2 (for expanding a business), a total of 15 sessions. After completing the program, participants receive a certificate from the Santa Clara University in California. The program was introduced to Bulgaria in August and more than 50 individuals enrolled and completed it successfully. Their training lasted for 10 weeks and included online sessions and meetings with Bulgarian entrepreneurs. In Bulgaria, the course was led by Dilyan Popov, Varna’s representative of the Bulgarian Entrepreneurship Center. Doctor Drew Starbird is MOBI’s director and Dean of Santa Clara University’s department of Information Systems and Operations Management. He graduated from the prestigious Cornell University, Agricultural Economics degree. He is also holder of an MBA by the Santa Clara University. His main spheres of interest include statistics, complicated business decision making, quality control, supply chains management and contracts. His work has been published by leading American scientific journals. 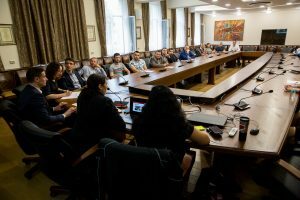 “University Innovation Fellows” (UIF), an innovations training program, was presented in Bulgaria in May 2018. The program is part of the Stanford Design School (or d.school), California. Lecturers and students from Sofia University “St. Kliment Ohridski”, Varna Free University “Chernorizets Hrabar” and the University of Economics – Varna, were selected by the Bulgarian Entrepreneurship Center (BEC). The first group of lecturers left on July 14th to develop their leadership skills and creativity, participating in the project “Teaching and learning studio”. 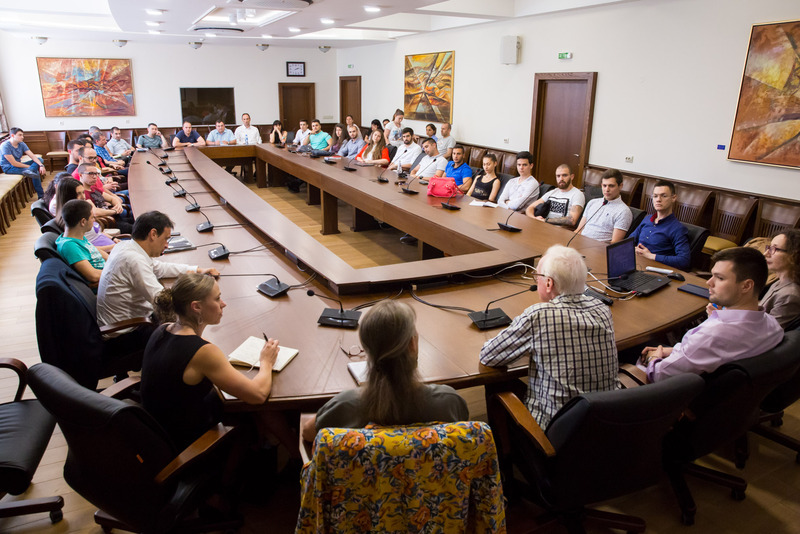 Among them were Associate Professor Eleonora Tankova, PhD (Varna Free University), Leona Aslanova (Sofia University) and Stanimir Andonov (University of Economics – Varna). The goal of the training was the sharing of experience and ideas, as well as change of attitudes among lecturers and students. They were introduced to new methods for increasing students’ creativity and participation within the institutions they study. Students will acquire skills, related to self-organization in clubs and will gain leadership skills and useful contacts. Stanford University is an innovations leader. This is where the careers of many famous people started: Elon Musk (Tesla), Marissa Mayer (Yahoo), Reed Hastings (Netflix), Evan Spiegel (Snapchat), to name just a few. The UIF program partners with the Hasso Plattner Institute of Design, Stanford, and is financed by The National Science Foundation, a US government foundation. Associate professor Eleonora Tankova, PhD, is a doctor of economics and an associate professor in Globalization of Development. 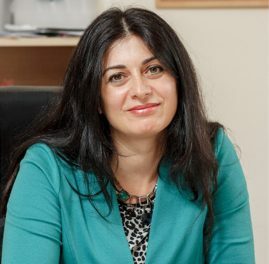 Since 2013 she has been the Dean of the International Economy and Administration faculty of the Varna Free University “Chernorizets Hrabar”. She is certified under the international program for teaching in business schools, International Faculty Program (IESE), Barcelona, Spain. She has years of experience as an expert in projects aiming to perfect the university entrepreneurship and innovation infrastructure. She actively participated in the development and launch of the first ever Master’s program in Entrepreneurship at the Varna Free University, jointly organized with BEC and the Interculture Foundation, USA. Leona Aslanova is an innovations expert and consultant with more than 15 years of professional experience. 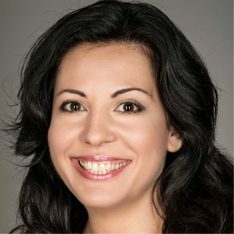 She is the founder of Innovation Starter, the first specialized innovations agency in Bulgaria, of the innovations forum Innovation Explorer in partnership with Capital and of Innovations Academy – the largest public-private educational partnership in Bulgaria – jointly with the leading Bulgarian universities. Before that she worked as Partner Relationship Manager at Mobiltel, Sales Manager at Investor.bg, Customer Connection Director at Network Media, Marketing Manager at M3 Communications Group Ltd. She graduated from Sofia University “St. Kliment Ohridski” with excellence, gaining her Bachelor’s degree in Bulgarian Philology and Master’s degree in Literary Theory, she did Business Innovations in Vienna at TAG Business School and the mini MBA program of PWC’s Academy. Currently she is a PhD student at the Economic Management Faculty of Sofia University “St. Kliment Ohridski” under the guidance of Professor Tsvetan Davidkov, Entrepreneurship Department, Business Administration profile. Stanimir Andonov is an economist, market analyst and marketing expert. He graduated from the University of Economics – Varna, and holds a Master’s degree. He has lectured on marketing at New Bulgarian University, University of National and World Economy and University of Library Studies and Information Technologies. Currently he is a permanently appointed lecturer at the University of Economics – Varna, where he conducts research on consumers’ attitudes and behavior. He is also involved with insurance companies and is the author of numerous articles on the same topics. He is the founder of Neuromarketing Bulgaria – a specialized agency which studies the influence of products advertised on TV. Meetings and talks took place with leading professors and the rectors of the universities of Sofia, Plovdiv, Varna and Veliko Turnovo. Plans have been made, in order to design special master classes, seminars and curriculums in the field of entrepreneurship. Experienced lecturers from Stanford University and other renowned institutes will visit Bulgaria and teach in 2018. In March 2018 a high-profiled marketing seminar was held at the premises of Telerik in Sofia for early to mid-stage startup founders and managers and received universal approval from all who attended. 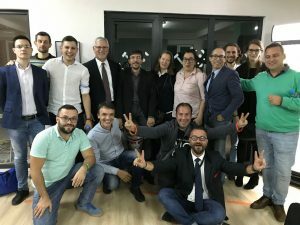 In June, a pilot for the “My Own Business Institute Class” (MOBI), developed by Santa Clara University, was began at an incubator/accelerator in Varna. The online class with weekly “meet ups” will be presented free to anyone inn Bulgaria who wants to sign up for the 10 session class. Those scoring well on the final exam will receive a Certificate of Completion from Santa Clara University. 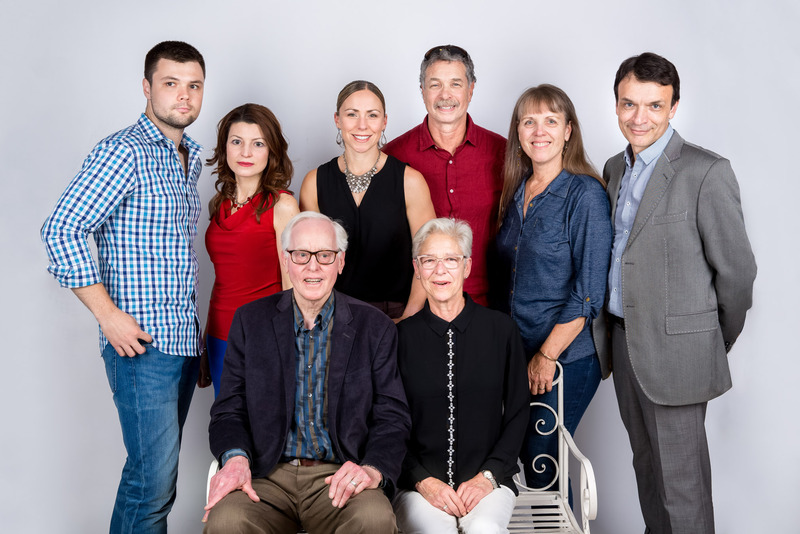 In July, three professors from three universities (Sofia University, Varna Free University and Varna Economics University) attended a University Innovation Fellows (UIF) training session at Stanford’s Design School to learn how to stimulate innovation among their students on campus in Bulgaria. In October, a Masters Class in Entrepreneurship started at Varna Free University in October, will last 3 semesters and will include visiting lecturers who are successful entrepreneurs from the US. The class will be fully accredited and count toward the achievement of a diploma from Varna Free University. In the Fall a 2-year pilot program in innovation and entrepreneurship will begin at three high schools in Sofia to engage 10th and 11th graders in the world of business and the benefits of becoming entrepreneurs as part of their regular high school curriculum. Leading lectors from Silicon Valley presented new educational programmes in Sofia and Varna! Larry Biehl is a financial advisor and an investment manager with more than 50 years of experience, working with technological companies from the Silicon Valley. He was also engaged in assets management, management of private finances of technology entrepreneurs, branding and marketing of non-profit companies and non-governmental organizations. Author of a Finance manual and has publications in prestigious economics editions. He has held lectures on the topic of “financial management” in many universities. He stands by the assertions that: “People should be remembered for the way they have spent their money, and not by how they have earned it”, “How they have transformed their wealth into importance and how their success has contributed to something that is significant and good for society”. Larry is a Stanford University graduate with the major in English Literature and is a Master in Finance. He is interested in Country music and the culture of the ancient Native American population. He is the founder of the InterCulture Foundation, which is assisting Indian reservations and the Cowboy Music and Poetry Festival in Nevada. Larry loves Bulgaria and has visited our country six times during the last 4 years, bringing with him a group of interesting mentors from various fields. 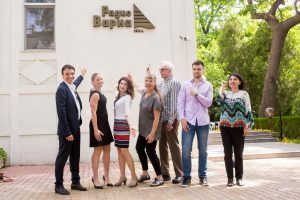 At his Institute in March 2018 a branch of his foundation, called “Bulgarian Entrepreneurship Center” (BEC), was established in Bulgaria. Larry’s aim in relation to the forthcoming visit is to popularize a new MOBI training programme of Santa Clara University, as well as to present interesting, successful people, who are to motivate and stimulate entrepreneurship in Bulgaria. BEC will give the MOBI programme free of charge to universities and non-governmental organizations. Joanne Bond is a certified business leadership coach, with more than 30 years of experience. She is working with start-up companies, who are creating teams and is helping in the growth of their leaders. She also engages in work related with women – entrepreneurs, who want to change their course of life and to start a new career. She lays emphasis on emotional intelligence, self-management and self-awareness. Joanne Bond has worked for the Health Care Fund of California, training physicians and administrative personnel. Her focus is particularly on the challenges women are facing in business and on women’s organizations. She has a Master’s degree in the field of “Communication Disorders”. She is a Hudson Institute of Coaching in Santa Barbara graduate. Joanne is a keen athlete and actively engages in racewalking. She is in Bulgaria in order to motivate and inspire young entrepreneurs on their path towards achieving success, to develop the skills of enterprising, ambitious people, with an accent on working women. Trish Kalbas-Schmidt is the director of the MOBI (My Own Business Institute) programme, which is taught in Santa Clara University in California. The training is aimed at the small business, as well as at students who are at the start of their education in entrepreneurship. It provides basic knowledge and practical advice to people, who have decided to start their own business. Before establishing MOBI, Trish was an Assistant Director of the Business school of Santa Clara University. She has graduated from two prestigious universities in the state of Wisconsin: ‘LaCrosse’ and ‘Whitewater’. she was working for several years as a Director of the ‘Crews’ entrepreneurship centre at the University of Memphis, and as a Marketing Director of the Small Business and Technology Development Center in Arkansas. She is a keen athlete and actively engages in sports such as mountain biking, climbing and running. Trish is in Bulgaria in order to present the MOBI programme, which may become a part of the curriculum of several Bulgarian universities, as well as to be useful to enterprising people who want to engage, or are already engaged in their own small business. 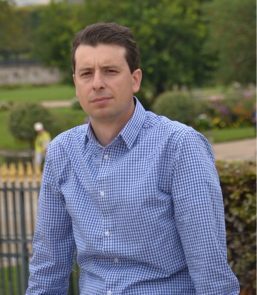 Anton Tonev is one of the good examples of Bulgarians who are successful in the financial world. Though very young, he a gained experience at prestigious Morgan Stanley bank, where he is engaged in financial engineering and loan instrument analysis. He has experience in the field of quantitative analysis and algorithms for optimization of the portfolio, as well as trading and management of securities. Currently working at AQR Capital Management, one of the largest asset managers in the world. Anton is now a CFA (Certified Financial Analyst). He has graduated from studies in the major of Financial Engineering at Cornell University, as well as from studies at the American University in Bulgaria (AUBG) in the majors Mathematics and Economics. Anton is in Bulgaria in order to motivate and help young, enterprising people realize their goals and achieve success outside of Bulgaria. On May 8 and 9, leading lecturers from Stanford University arrived in Bulgaria: Liticia Britos Cavagnaro and Humera Maryam Fasihuddin. They met with lecturers from the Sofia University, Varna Free University and the University of Economics in Varna. The occasion for their visit is the presentation of a program that attracts talented Bulgarian students and their professors with leadership skills, creativity and entrepreneurial spirit, who have the opportunity to gain more knowledge and certification from one of the most prestigious universities in the world – Stanford, California. Stanford University is a leader in innovation and new technologies. From there, the careers of people such as Tesla, Marisa Meyer (Yahoo), Netflix, Snapchat and many others, have started. The program will be funded by the Bulgarian Entrepreneurship Center and by Google. The UIF (University Innovation Fellows) program is a prestigious entrepreneurship, creativity and innovation course at Stanford University, California. It is an intensive training that lasts for 6 weeks, and students become part of the prestigious UIF network. It takes place online, with the most successful participants being invited to a one-week meeting at Stanford University to exchange experience and get further guidance from leading mentors. The UIF program is in partnership with the Hasso Plattner Institute of Design, Stanford and is funded by The National Science Foundation, a US government foundation. The aim is for students to gain additional skills to be leaders and successful entrepreneurs of the future. The application period is from 16.04 to 21.05 and the training will begin on 04.09.2018. We are very excited to inform you about our new “Master of Entrepreneurship” program starting in October 2018. The program is in partnership with the Bulgarian Entrepreneurship Center (BEC), InterCulture Foundation (of the American financial advisor and investment manager Larry Biehl) and Varna Free University (VFU). 30 scholarships will be awarded to select applicants by successful businessmen and entrepreneurs from the Silicon Valley. The program is designed for candidates with strong motivation and interest in the field of entrepreneurship, innovation and development of new businesses. We highly appreciate your help promoting the program among suitable and motivated candidates. BEC’s educational focus will make VFU at Varna the Central and Eastern European (CEE) center for regional small and medium size enterprise (SMEs) creation and social entrepreneurship, as well as a major provider of sales and marketing skills truly “cross-border” businesses need to succeed.